Eliminate chemicals by using antibacterial essential oils for deodorant. You can use geranium essential oil since it is a circulatory essential oil. This means that it can exit your body through sweat. Now, expect your perspiration (and armpits) to smell just like geranium! Since geranium essential oil has antibacterial features, it can also help in getting rid of body odors and thus can be utilized as a natural deodorant. You can smell every single day with the rosy smell of geranium essential oil. To go about this, just place 5 drops of geranium essential oil into a spray bottle. Then add 5 tablespoons of water to it and mix. This creates for you a helpful and natural deodorant spray and perfume you can use regularly. If you have sensitive skin, try essential oils for deodorant. Here is a good recipe using lavender essential oil. 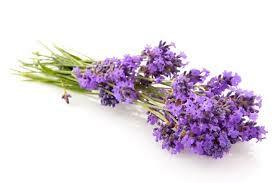 First, prepare ten drops of lavender essential oil; one-third cup of unrefined coconut oil; one-third cup of arrowroot powder or cornstarch; and one and a half to two tablespoons baking soda. Next, warm the coconut oil using a microwave with 10 second intervals. Alternatively, you can warm it on top of a double boiler until the oil melts. By heating the coconut oil, you are sure not to get rid of the Medium Chain Fatty Acids, keeping it antimicrobial. However, you can skip this part. It’s just that it might be harder for you to blend and pour. Mix in the arrowroot powder or cornstarch as well as the baking soda. Ensure that the mixture is not that warm. Then, add the lavender essential oil. Lastly, pour the mixture to an old deodorant dispenser so you can easily apply it or into a jar with a lid so you can apply it by hand. Did you know you can make your own by using the best essential oil combinations for deodorant? Give lemon essential oil a try. You can mix it with grapefruit essential oil, geranium essential oil, lime essential oil, cypress essential oil, lavender essential oil, clove essential oil, and oregano essential oil. You can choose to place 1 drop or 2 of every essential oil until you get 17 drops of essential oils. With this, you would need 3 tablespoons of virgin coconut oil, 3 tablespoons of tapioca starch, and 2 tablespoons of baking soda. Set aside a 4 ounce glass jar with a wide opening. Using a tiny ceramic bowl, mix the tapioca starch, virgin coconut oil, and baking soda. Mix them well together until the texture is smooth. Add your essential oil mixture and mix well. Move the mixture into the glass container. To apply your homemade deodorant, wash your hands before you apply water and soap. With one to two fingers on your hand, apply to your underarms. Massage this blend completely unto your underarm skin.